Tons of people are invested in Moore Capital and they must be freaking out right now. BBC’s business reporter, Robert Peston, just broke the news that the hedge fund currently under major investigation for insider trading is Moore Capital. This morning, we found out that sixteen employees of a London hedge fund had their homes searched by the FSA. “One person at Moore Capital and five other City workers are being held. Six total people were arrested. One is from Moore Cap, a trader who worked at the hedge fund’s equity execution desk. Another is from Deutsche Bank. Moore Capital is at the centre of the investigation. This morning representatives of the FSA were at our London office to serve a search warrant for documents relating to an employee of Moore Europe working as an execution trader on its London Equity Execution desk. We understand from the FSA that the investigation concerns possible insider dealing and the investigation of the employee does not involve any of the funds managed by Moore Capital. Moore is co-operating fully with the FSA in its investigation. The employee has been placed on administrative leave pending completion of the investigation. This is huge news. 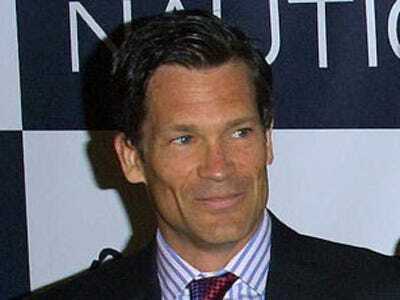 Moore Capital is a $13 billion hedge fund its founder, Louis Bacon Moore, is one the the richest men in the world. The FSA is using around 150 employees for this investigation. They’ve been working on the scandal since 2007. Here’s the FSA’s press release. So far, there’s no U.S. connection to the case. We asked the SEC if they were involved in the investigation, but they wouldn’t comment, telling us “[as] general policy, we can neither confirm nor deny existence or non-existence of any investigations.” We did not immediately hear back from the FBI or the U.S. Attorney’s office in Manhattan about a similar request.